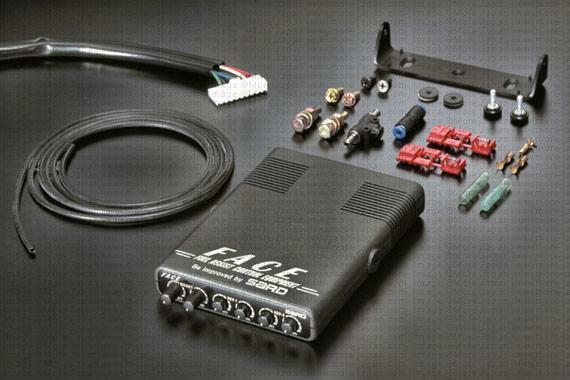 SARD Fuel Assist Control Equipment (FACE) UNIVERSAL - Dezod Motorsports Inc - Home of the automotive performance enthusiast since 2002. The SARD FACE (Fuel Assist Control Equipment) is an injector controller controls any additional injectors that have been added to the vehicle. This is an extra injector controller. If extra injectors have been added to the vehicle, FACE can control the amount of fuel they will deliver, and what rates they will deliver fuel. Resistors for low resistance, or low impedence injectors are also available. Kit includes all necessary hardware and harnesses to connect to additional injectors.